The Science Olympiad is a nationally recognized program for enhancing science education and interest in science. It is a science competition for teams of up to 15 students competing in 23 different events over the course of the day. Gordon State College hosts a Division C regional tournament each year for high school students. We typically have 14 teams from local (and some more distant) high schools participating each year. The activities emphasize doing and applying science. Teams advance from regional to state to national competitions. 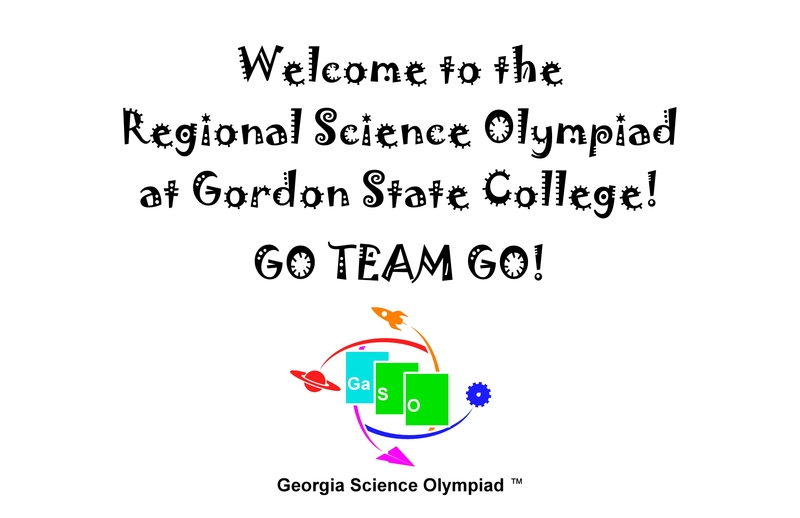 Gordon State College will host a Division C Science Olympiad Regional Tournament on Saturday, February 23, 2019 on our Barnesville campus. A campus map and directions can be found here. Rules clarifications are on the coaches memo, on the Georgia site, and on the National site. Our tournament results are final at midnight the Monday following our tournament. -Event Supervisors: Mathematics and Natural Sciences Faculty and other faculty across campus participate in creating and running the events, with significant support from staff and administrators, with significant help also from the local community. NOTE: Please notice the dates on each document on this site; they are being updated as time permits. Some involve last year's planning efforts, and some are current for this year's tournament.